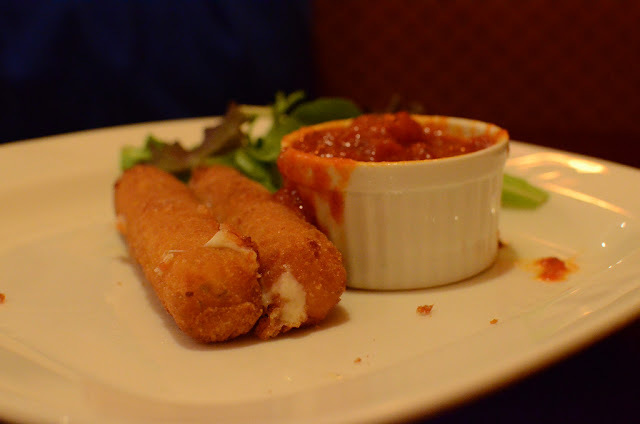 Fried Mozzarella Cheese Sticks- Hello everybody, welcome back with RedHood Kitchen! today i want share to you how to make Fried Mozzarella Cheese Sticks. mozarella cheese sticks that taste savory and delicious when chewed warmly, can be recommended menu snack. mozarella cheese sticks are delicious if enjoyed with tomato sauce and cola. this snack very easy to make, so let's make it! In a small bowl, mix eggs and water. Mix the breadcrumbs and garlic salt in a medium bowl. In another bowl, mix flour and cornstarch. seal each stalk of mozzarella in a flour mixture, then mix the eggs, then in the bread flour and finally into the heat oil.